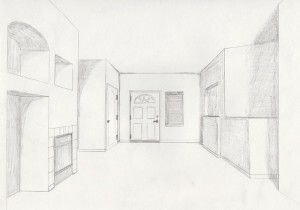 I was practicing 1-point perspective when I drew this for an art class. It’s the interior of the house I was living in at the time. 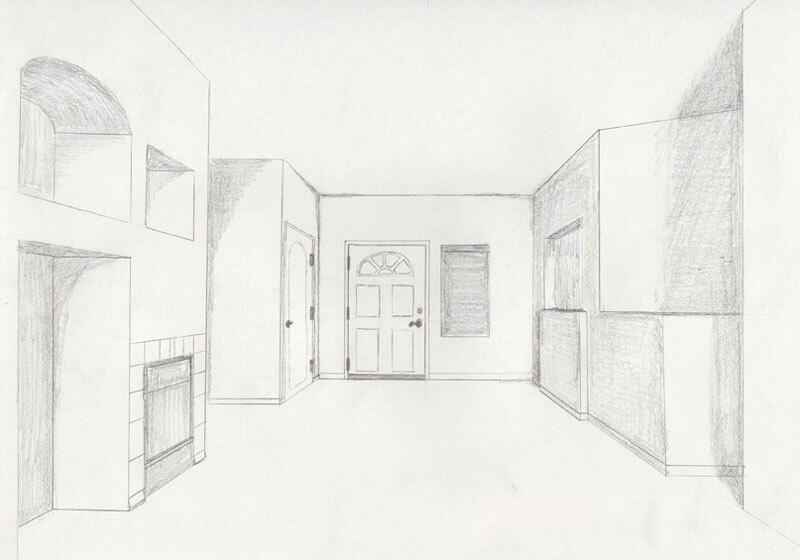 We did have furniture (barely) but I didn’t draw any of it. I was more concerned with the structure of the room itself than drawing in a couch that was falling apart but my roommate refused to get rid of.